ROBBINS: So welcome. Welcome to today’s Council on Foreign Relations meeting on “Strategy and”—is the mic on? Yes? OK. Thank you. Everybody can hear, yes? OK.
ROBBINS: Well, it’s the mic, it’s not me. (Laughs.) I think they’ll turn it up. I’m Carla Robbins. I’m an adjunct senior fellow here at the Council, a longtime journalist—my former editor from The Wall Street Journal is here—and currently the Marxe faculty director for the Master of International Affairs Program at Baruch College at the City University. We are very honored to have—be joined today by Ronen Bergman, who is the senior correspondent for military and intelligence affairs for Yedioth Ahronoth. BERGMAN: Yeah. It was wonderful. ROBBINS: And a contributor to my other former employer, The New York Times. His new book, which is on sale out there—I’m getting a cut, so I’m telling you about it—is Rise and Kill First: The Secret History of Israel’s Targeted Assassinations. And, as well, from another fabulous author, Chuck Freilich, who is a senior fellow at the Belfer Center at Harvard’s Kennedy School and a former Israeli deputy national security adviser in the administrations of Prime Ministers Barak, Sharon, and the beginning of Olmert. His new book is Israeli National Security: A New Strategy for an Era of Change. So we only have an hour, so I think of this as “Final Jeopardy!”—we’re going to do it really fast. So let’s try to get to it. We’re going to chat up here for about 30 minutes, and then we’re going to turn it over to members for Q&A. And a reminder: this session is on the record. So I want to start with Chuck. How would you sum up Israel’s security situation today, in 2018? It may not be 1938, but Syria’s unraveling right next door, Iran is undeniably powerful and ambitious, Hezbollah and Hamas remain malevolent, and the IDF spokesman had an op-ed just today on an—on an opposition Lebanese website warning that there could be a war if Lebanon—if Iran places precision missiles in Lebanon. And I disagree with the prime minister’s presentation. I think that, as Israel is about to celebrate its 70th anniversary, we have never been stronger, more secure, and more able to chart our national course. Now, that doesn’t mean that there aren’t some very significant threats out there, as you mentioned. Iran may still go nuclear. It has not given up its nuclear ambitions. And Hezbollah has 100(,000) to 150,000 rockets, and that’s, to slightly overstate the case, just about a rocket for every house in the state of Israel. But I do think that we can say today that at age 70 Israel’s national security strategy has been a phenomenal success. And it starts with the fact that Israel exists, which was not a foregone conclusion in the early decades, and that we have become a stable, prosperous, and fundamentally secure country. No one is going to wipe Israel out anymore. Those days, the days of existential threats, are gone—unless Iran goes nuclear, and even then I think we can handle that. And I think that’s a phenomenal achievement. And, given that, I think that we can make a—not a sea change, but an important change in the national security strategy. We’re not fighting for our existence anymore, and so I think we—Israel can take a deep national breath. We need a chill pill. And we can adopt a long-term strategy of strategic patience because our adversaries are playing a long-term strategy today. And that means a far greater emphasis on self-restraint—we already do it, but even more; on deterrence; defense; and diplomacy, far more than in the past. There are no good military solutions to any of the major issues that Israel faces today: the Iranian issue, the Palestinian issue, even the Hezbollah issue. The bad news is that there may not be any good diplomatic solutions either. ROBBINS: So, Ronen, given what you work on, and given this extraordinary book that you’ve just written that looks at the policy of assassination, do you agree, first of all, about the chill pill? Second of all, do you think that that is where the Israeli body politic is and the Israeli national security establishment is? And if it has been so successful, are they willing to move on from it? BERGMAN: Thank you for your words—your kind words about the book, and thank you for the Council for organizing this panel. I agree with everything that Chuck said, so I won’t repeat that. Only—or not only, but mainly good news. The national security situation of Israel is the best it has been in 70 years. Israel defense forces, intelligence community, military, is the strongest—only I would say and has no adversary in the—in the area. Just imagine what was the doomsday scenario from the point of view of the IDF generals 20 years ago. The total, overall power of both Syria and Iraq at that time were 54 division(s) of tanks and infantry. The generals were fearing that these were just starting to march towards Israel. And I’m not sure that Israel would have been able to stop all of them if they would start and imminent strike on our country. These forces do not exist anymore. The main threats to our national security, to our soul, to our existence, do not exist anymore. What was seen as a main threat, maybe reduced now: Daesh. The Islamic State, that was seen as a main threat to France or to the U.S. or to Europe, was not seen as a threat to Israel, and it’s not a threat to Israel. This was not coincident that Daesh did not—did not even try to strike Israel, as al-Qaida didn’t do in the previous decade, because they knew that Israel is prepared to—for counterstrike, and very much prepared for counterterrorism. That said, Prime Minister Netanyahu, being a big leader, need(s) big enemies. And if they are not in hand, then he’s not creating them, but I would say overexaggerate their existence. There are people in the defense establishment and in the intelligence community who are saying that it’s overplayed, that Israel should have taken a different—and going back to what Chuck said—a different political course when, for example, it comes to the negotiation with Iran, to be more involved and not boycotting the negotiation that led to the Iranian nuclear deal. But if there is one thing that is in consensus between Benjamin Netanyahu and all of his generals and the chiefs of the—of the intelligence is the threat that is seen as the primary outside—I’m not talking about counterterrorism inside Israel, but the outside threat, the main one, is the possible deployment of Iran in Syria and in Lebanon. And that is seen as a viable threat that Israel should counter. What you saw from the IDF spokesman, Ronen Manelis, who gave an extraordinary op-ed and an interview to a Lebanese paper, something that never happened before, is a part of an overall campaign that Israel is trying to execute on the clandestine level, as well as the overt one: trying to destroy whatever Iran is building in Syria and making it clear to the world that Israel would not stand aside if Iran continues to deploy. Just 10 years ago, September 2007, Israel destroyed the secret nuclear facility in Deir ez-Zor. Just to remind all of us, that happened when the North Koreans and the Syrians signed a secret deal. They started to build that facility secretly. Israel discovered that. The Mossad discovered that, appealed to the United States. Prime Minister Olmert, with whom you worked, appealed to President Bush, asked him to destroy the reactor. Bush declined. And Israel was left alone, decided there’s no one to trust but ourself, and destroyed the reactor. History does not repeat itself. But in a way of comparison, we are in the same stage now. Israel feels that it appealed to the United States, asked the United States to exercise leverage on Russia, make the Russians understand that they should put pressure on Iran not to deploy. It didn’t work. Israel appealed to President Putin. The prime minister is going to see him just today. And it didn’t work as well. And so Israel is trying to make sure that the world understand(s) that if Iran does deploy and create a second front for Israel, the Israelis even has a word, a terminology, a name for the next war. They call it the First Northern War. So we had the 1982 invasion to Lebanon. It’s called in Israel the First Lebanon War. The 2006 confrontation with Hezbollah is called the Second Lebanon War. And now we are waiting or the Israelis are anticipating the First Northern War, which is going to be a cross-border war, Israel against the Hezbollah and Iranian forces in Lebanon and in Syria. And Israel is trying to tell the world: You do as much as you can to stop that, because if you won’t we will do this instead of you. ROBBINS: So, as much as Ronen said he agreed with you, he seems a little more dire on this topic. (Laughs.) So can you talk a little bit about—talk about Iran and its plans, as you see them, for Syria and Lebanon, and what you think should be the response of the Netanyahu government? FREILICH: I hope—I hope I can disagree. No, I mean, I think Ronen is correctly portraying what could develop into a very dire threat for Israel. Now, there’s a big difference between existential threats—or severe threats is what I should say, is a better word for it. It’s an entire world of a difference. It’s a question of how bad a price you pay as opposed to your existence. Look, I must say that this situation—I mean, my book will be out on March 1, and it proposes an overall—forgive me for the sale—this is the first time anyone has written a public proposal for an Israeli national security strategy, a comprehensive strategy. And on the military level or the military strategic level, as I said before, the primary recommendation is we can lay back a little bit. Our existence isn’t in danger anymore, and we can take a long-term approach. And as the book is coming out, this potential new threat is evolving. And I’ve had to ask myself a few times: Does it—does it hold? And I think the answer is yes, in the sense that we can take some time here. We don’t have to respond immediately. Israel, unfortunately, lives in a tough part of the world, and there are times when we will probably have to take offensive action again in the future. But we don’t have to do it in the way we did in the past. We can try diplomacy. Now, it’s true that the U.S. hasn’t done very much. That’s being optimistic or positive. (Laughter.) Russia is the primary player here in Syria at the moment. It has demonstrated some understanding for Israel’s need. It has—well, we wanted a 60-kilometer-wide buffer between Israeli forces and Iranian and Hezbollah forces, and they agreed, depending on where, of five to 20. Not what we wanted, but the alternative would be worse because there’s nobody to patrol things if the U.S. isn’t playing. Actually, the Russians are a stabilizing force, from Israel’s point of view, at the moment. So this is a serious threat. It really is. And Iran may very well go nuclear. I think the greatest threat of Iran going nuclear at the moment actually comes from the United States, because if the U.S. walks out of this deal, I think the initial Iranian response will be, OK, the U.S. is violating it; we’re going to continue to adhere. But why should they continue to adhere in the future? And I think the focus now—I think this is what I would hope we could all agree on—the focus should be, first of all, on maintaining the agreement; and second of all, then taking care of the agreement’s flaws, because it isn’t a perfect agreement. And the most important flaw is the so-called sunset clause. And that has to be changed, I believe, with a follow-on agreement which states that Iran can never be allowed to develop a nuclear capability. ROBBINS: So Israel built a wall. ROBBINS: It worked, so far. Let’s talk about the internal security, for a moment about it. Is it as good as it appears from the outside? Do you credit the wall for that? Or how much is it from other action, the sort of things that you’ve been writing about? And how much is there a threat to Israeli civil liberties that we have to worry about as well, for those of us who admire Israeli democracy? How much has there been a tradeoff of national security and civil liberties? And how much are—is the Israeli public not talking about that? BERGMAN: We have to remind ourselves, when the wall was built, Ariel Sharon for a long time, as a prime minister, refused to build it because he thought that it was just—draw down the line of an independent Palestinian state, something that at the beginning of his term he objected strongly. He changed his mind, by the way, at the later term. And I think that Chuck and I agree, again, on the fact that if he wouldn’t be suffering a stroke, he would bring to this miserable area and would sign a peace agreement with the Palestinians. But that didn’t happen. Israel suffered a severe campaign of suicide terrorists. And it reacted with three primary steps. The first was to reengage—reenter some of the populated Palestinian areas in 2002. That was, again, an Ariel Sharon decision. Ariel Sharon, by the way, as a prime minister, was, I think, the right person at the right time in a country in crisis, whereas I have very strong criticism—some of it I just published in this story in The New York Times—very strong criticism on what he did as a minister of defense in the ’80s. But as a prime minister did a remarkable job. He sent the IDF troops back. He built the wall. But these two steps did not stop the bloodshed inside Israeli cities. Every day, suicide bombers. The only thing that really stopped them was the extensive use of targeting killings. And if you—if you look at the statistics, you see that the building of the wall, on tactical level, what it did—and the wall was never fulfilled. You know, it’s not—it’s not surrounding the whole of the Palestinian areas. But it was long enough to make the suicide bombers take a much longer route inside Israel, enable Israel secret service and police to capture them before they executed—before they bombed themselves. So it gave them something like 45 extra minutes to an hour, which was enough to capture most of them. But if you look at the number of attempts—not successful, but attempts to execute suicide bomb operations—you see just—it was just on—it was just growing. What stopped them was the use of targeting killing. Israel started to use targeting killing almost daily. They didn’t hit the suicide bombers. They hit those who sent them, the so-called engineered who manufactured the bombs, the drivers, those who recruit them, the commanders, the political leaders. Once that happened, for two years, as part of a strategy, it convinced Hamas and the Palestinian Islamic Jihad that it doesn’t worth it. It attached a significant price to that—to the continuation of that campaign, to the peak of 2004, when their political and religious leader Ahmed Yassin was killed. At that point—after that point, almost on their knees, through Egyptian mediation, Hamas begged for a ceasefire with Prime Minister Ariel Sharon. And it proved that even a jihadist movement, the most radical—you know, a jihadist version of “Games of Throne,” something that could be—that we thought could not be stopped, could be taken on its knees when using these extreme measures. Now, back to your question, of course, every of—each one of these measures jeopardized and damaged other values of democracy—the right of living, privacy which was damaged by the extensive use of intelligence, et cetera. The problem, I think, was not the use of these under crisis but, of course, the fact that innocent civilians were killed as collateral damage. And in some cases, Israeli Defense Forces were not—under great pressure to stop the killing of Jews every day—they were not cautious enough. But the main difficulty was that the political level after winning the campaign, and after Sharon suffered a stroke, the people who succeeded him were not able to take a political discourse—use that opportunity, use that leverage—and call the Palestinian, or execute a truthful political discourse with them. ROBBINS: So where does the peace process fit into your national security strategy? FREILICH: Well, I think the number-one recommendation in the book, the most important one, is no big shock to anyone. It’s that I believe that Israel has to either reach an agreement with the Palestinians in the coming years, and if that isn’t possible—and I don’t think it is—then we have to act unilaterally to at least begin the process of withdrawing the settlers, while maintaining IDF control for security purposes, and preserving the option of getting to a two-state solution. I think all the talk lately about one state is pure nonsense and anyone who talks about it doesn’t know what they’re talking about. Which is not normally the way I address people who disagree with me, but I think it’s just pure nonsense. I don’t think there’s a deal in the offing for the foreseeable future. I don’t think we have the condition—the political conditions, the leadership either in Ramallah, Jerusalem, or in Washington at the moment. Abu Mazen is at the end of his—nearing the end of his tenure as president. He’s had the opportunity to cut deals if he wanted until now. He didn’t do it. And Netanyahu has been prime minister for almost a decade. He’s had the opportunity. He didn’t do it. He’s got his—the criminal charges, he’s got his domestic political problems. He’s tacking to the right. And in Washington, there’s a president who—I accept a little bit the idea of trying to shake things up a bit, because both sides can use some shaking up. But I think the American role, which is critical, requires a president who can be committed, make a sustained effort, does not necessarily have to have the incredible command of minutia that Clinton did, but you need somebody who’s going to be hands-on. And I don’t know that we have the president for that and the administration for that at the moment. So I don’t think it’s going to happen. It’s the most important recommendation. It’s not going to happen. And so what we have to do in the meantime is at least preserve the conditions for a two-state solution if and when a political constellation emerges. BERGMAN: May I just add something maybe about Netanyahu and his, I think, mindset? One of my colleagues at Yedioth Ahronoth once wrote about politicians, that they have usually themselves at the center and all the rest in the background. (Laughter.) And Benjamin Netanyahu doesn’t have a background. (Laughter.) If he is convinced, and at this time there’s no real reason to think that he would do so, having a right-wing majority—I think people do not understand how people in Israel vote. They do not vote for Netanyahu. There’s an unfortunate right-wing majority in the people of Israel. I’m not sure that most of them like Netanyahu or, for that sake, his wife. They really are voting because they ideologically believe that he represent what—their part of the political scale. BERGMAN: Mainly on national security. The frustration of the people—the mindset of Israelis—true or not. But the story Israelis tell themselves is that we have offered the Palestinians everything during the Oslo Accord. We could give them—we gave them everything they wanted, and they returned with blood and fire. And Netanyahu, what he’s doing best is to continue market that kind of mindset. And therefore, people do not believe that there’s a partner at the other side. The only thing that could convince him is either a very, very strong outside pressure—as Chuck said, I don’t think it’s coming—it’s not President Carter, you know, bashing the heads of President Sadat and Prime Minister Menachem Begin at Camp David until they reach an agreement. We are not—this is not the players now. Or some sort of a severe crisis that would convince Prime Minister Netanyahu, if he continues to be the prime minister after the—all the different investigations—that his own regime, his own seat as the prime minister is under threat. If he does that, I think he would have no difficulty to turn his back on the settlers and take a very different political turn. ROBBINS: I want to turn it over to the members, but I want to ask a complex question for a short answer here, which is, how much should the Israelis worry or how much do they worry about the long-term viability of their relationship with the United States? FREILICH: I think that’s a major concern, and that’s actually one of the other primary recommendations in the book. Look, it’s not easy being a client state, or a dependency, or a stat which is as dependent on the U.S. as Israel is. And I think—I raise, I think, a couple of interesting questions in the book about this. Has the price of extraordinary relationship been that Israel’s lost a significant degree of its independence? And I think the answer is yes. And another question to which I don’t have an answer—but the very fact that I can ask it is, I think, what’s important—is that could Israel even survive today with the United States? And the answer is, well, maybe. Maybe. I don’t know. It is certainly—in extreme circumstances, people come up with desperate measures. But it is certainly an infinitely poorer and infinitely weaker, less secure, existence. And if you accept my two premises, then there’s a question of what does Israel do to really insure this relationship, because it’s not just another important relationship. It should, I think, one of the recommendations is, define it as a fundamental—preserving this special relationship with the United States as a fundamental pillar of Israel’s national security. And there’s some recommendations for how to do that. ROBBINS: One question. You only get one. Q: Oh, I’m Rabbi Steve Gutow, and I’m a visiting scholar at New York University. So my second question, and the only question, is this. Is I’ve had this dream since I’ve been a kid, since I was studying over there, that’s—that Israel could put a couple billion dollars a year for a while, without hurting itself, into really doing a Marshall Plan for the Palestinians, and help move that society in a way that’s not going to become more dangerous—I’m not going to give a speech—not more dangerous for Israel, and yet would probably start opening up new avenues. Why not? FREILICH: OK. First of all, I don’t think there’s any reason why not. There’s all the reason yes. But I don’t think that’s the problem. I don’t think our problem here is economic development. And here, fortunately, I found an area where maybe I disagree a little bit with Ronen. I think that—I think Israel did put pretty much everything possible on the table in the Camp David and Clinton parameters in 2000, and again in 2008. And I think that there is a question—again, I don’t know the answer to this. But I think there’s a question that every fair-minded person has to pose, which is: Is there any deal that the Palestinians, or at least the Palestinian leadership that we know today, will accept? So I think the essence of this conflict is not the economic one. It’s important. It’s a political decision that has to be made on both sides. There were a couple of Israeli governments—you know, there’s Rabin, Barak, Olmert—who were willing to do it. I have not yet seen a comparable response on the Palestinian side. Q: My name is Joel Cohen. I’m a professor at Rockefeller and Columbia Universities in New York City. Could you please address the demographic future of Israel? It is a highly heterogeneous society internally, with very great differences in fertility levels among the secular Jews, among the religious Jews, and among the non-Jews. What’s the potential and likely impact, and what are the action consequences, of your foreseeable impact in terms of spreading education, and health services, and other responses to all the populations of the country? BERGMAN: Syria and Iraq, all these. So what Benjamin Netanyahu is advancing, as well as other right-wing political parties, where they do not say that, but they are aiming at a one-state solution that would not give Arab the right to vote. It would end up in civil war. Talking about just people inside Israel, the president of Israel, Reuven Rivlin, talked about that—these various tribes that—so we have the secular, we have the religious, we have—(inaudible). So we have different tribes, between which the connection is not—is not—or something’s not the best. You know, I think the—Israel would be able to handle any kind of outside threat—Hezbollah, Iran. These are all handleable. Israeli intelligence and defense forces will come with a solution sooner or later. That’s the main threat. The shift between us inside Israel, the extent of violence that we see in the social media, it’s just unbearable. It’s frightening. It’s chilling to see how people react to each other—Israelis to Israelis, Jews to Jews—on the social media. And it reflects the extent of violence, which I’m afraid to say is not addressed by the leaders to try and reeducate and create a different reality. And in that sense, I do think that we have (afraid ?). But I need to finish this with some optimistic remark. The people who learn Talmud and Jewish holy scripts, all of the ultra-Orthodox, that are now not part of the country or not—they are not Zionist and are not taking real part in the establishment and the conducting of Israel as a country—I think that the walls of that tribe are going to fall. They’re already falling. We do not have the statistics because they are holding that from us. They are, all of them, supposed to carry only very simple cellphone that doesn’t have internet, but all of them have two. (Laughter.) So they have the old one, Motorola 6310, that doesn’t—you know, it’s also the best to use for someone who is afraid that someone’s bugging him, because nobody can have a malware implanted inside. But it doesn’t have anything. They have a second one. They are exposed to the luring secular culture. And the fall—and the wall will fall. And then we will benefit these smart people who study Talmud all day. They are the smartest people. And I think we’ll have a new generation of genius citizens of Israel, part of society. And in that sense, I’m very optimistic. Q: Hi. Joel Mentor. Thank you for your time. I know there’s a lot of confidence, as you guys have talked about, in terms of the state you see of Israel’s national security. But I know there was actually—in the wake of the 2006 war, there was some lack of confidence in terms of military performance there. I’d like to get your thoughts on the impact that war had on civil-military relations, Israeli military doctrine, and now the national—not necessarily the national-security establishment, but also the population itself. Are they as confident as you guys are, based on the performance that they saw from the Israeli military in 2006? BERGMAN: Almost longer than the war itself. FREILICH: Longer than the war itself. This was a paradoxical war, because it ended in Israel with a feeling of we made every mistake in the book, mistakes that the IDF should never have made, undoubtedly severe mistakes in the national decision-making process at the political level and the mix between the political leaders and the defense leaders. And if you look, we’re now almost 12 years later and we have had total silence on the Lebanese border. That’s the longest quiet we’ve had on that border since the 1960s. And so, paradoxically, an ill-fought, ill-led war had a pretty decent outcome. Now, part of the quiet is because Hezbollah is too busy in Syria. They don’t have broadband—the bandwidth for both. But part of it is because Israel actually did achieve a fair amount of deterrence there. Look, the IDF was horrified by its own performance, and really took this to heart, and has spent the last decade thinking and thinking and thinking about how to get it right next time, or at least get it better. And it’s a different world, because military technology has changed the nature of warfare. It’s changed—the idea of victory has changed. The United States, a global superpower, the greatest power in history, could not defeat some insurgents in Afghanistan and Iraq. And Israel, a regional power, can’t defeat Hamas and Hezbollah. So it’s a different world. And you have to even define the basic terms. What does victory mean? I don’t think we have an answer yet. I don’t think we have a good offensive answer to Hezbollah, and won’t for the next few years. But people are working on it, and what goes around comes around. In terms of the civil-military relations, you know, there were—there were some really serious attempts the first couple of years to improve the national decision-making process. The National Security Council law was passed, and they would take also some new procedures. Everything has been forgotten. It’s as screwed up as it always was. And it will be, unfortunately, next time as well. BERGMAN: I have to use the opportunity to say that I utterly disagree, because I think that we have lost the war. I think that deterrence was not achieved. Recalling one minute in Lebanon on the night of the 19th of August, the son—no, this was—sorry, it was a little later. But we were in Lebanon with a tank brigade. I was as a journalist accompanying them. And then the son of David Grossman, the famous Israeli author, was killed. And I saw the tank and I saw the bodies, and I saw the—there was a Metis Russian missile that got into the tank and exploded it; just made a very small hole of the outside and exploded inside and killed everybody. It was horrific. And the—you know, we grew up in Israel with the belief that maybe the politicians are rotten and corrupt and lying all the time, but at the end of the day we have the IDF and they will always win. And I was there, and they were not winning. I was there, and they were disoriented, didn’t know what to do, and they were not winning. Hezbollah had the upper hand. And I don’t think that deterrence was achieved. I think that what happened was the other way around. We were a deterrent, because recalling one conversation I had with Ehud Barak, the minister of defense, who—for many, many years—he said if there’s one reason why we’re hesitant to strike the Iranian nuclear facilities in 2011, that was—that came from the inconfidence of the IDF generals. They didn’t think about striking Iran, because this was doable. They thought about the day after when Hezbollah is going to bombard Israeli cities with missiles. So deterrence works from the Israeli side—from Hezbollah side towards Israel. Israel was deterred not to act against Iran because they were fearing Hezbollah’s retaliation. And I think that created a trauma. That created a trauma in Israel. And definitely I agree with Chuck that Israel has tried to do a lot, but what else happened is that Prime Minister Olmert after the war put much of his confidence not on the IDF, that disappointed him, but on the Mossad and military intelligence, special operations. From that point on, most of what Israel has done until today was pinpointed, very limited operation—sabotage, malware, targeted assassinations. And that had a profound success and a profound impact on the other side. ROBBINS: I’m going to take one second to follow up on this. Given the activities that the IDF is taking in going after arms deliveries inside of Syria and all of that, there are two ways of looking at it. One is you don’t want Hezbollah to get any stronger. That’s a good way of looking at it. The bad way of looking at it is the potential of creating a wider war that Israeli gets involved in. How do you look at it, either or both of you, I mean, if you have less confidence in the IDF? BERGMAN: They feel that they rebuilt and they are—they have a much better understanding, from the intelligence point of view, what’s happening in the interface between Hezbollah, Syria, and Iran. Therefore, they are able to understand where are the weapon shipments going from Iran to Syria, and then to Lebanon. And in that sense, they are playing a very delicate game, when destroying only convoys of arms, stashes of Yakhont surface-to-sea missiles, et cetera, and while not igniting war. So far it worked. You cannot argue with success. It worked, by the way, also thanks to a tactical success of Benjamin Netanyahu. We are doing again something unprecedented. We are saying good things about Netanyahu. (Laughter.) He created a tactical coordination with the Russians. There is a phone line going from the subterrain bunker in Tel Aviv, code name Canary, the air force command, to Khmeimim base in Syria. BERGMAN: To deconflict. Every time there’s a—just imagine. An Israeli general can pick up the phone and have a Russian general in Syria picking up the same phone and saying we are striking in Syria now. Please do not interfere. Coordinate everything. Make sure that no Russian airplanes or troops are killed while Israel is acting fiercely against Hezbollah. It worked fantastically on a tactical level, and it didn’t work the strategically. But Israel hoped that that would create a better understanding in Russia why the Iranians should be at least contained. But the Russians have their own set of interests. So they said you can strike them, but we are not going to stop them from deploying. Go back to you on this and—(inaudible). Q: I don’t think we can speak of strategies without visions. Iran—can you describe an acceptable—a mutually acceptable and achievable settlement with Iran? If Iran is viewed permanently as malign, permanently the greatest threat to Israel, it changes the whole nature of the game in Israel. Is there a vision that you guys have of a mutually acceptable, achievable settlement with Iran? FREILICH: Look, to have a settlement, you have to have two sides willing to talk and reach a deal. Iran speaks about Israel’s destruction repeatedly. And one of the things that we learned over the decades is to take Arab and, in this case, Iranian rhetoric seriously. Now, they don’t think it’s going to happen tomorrow. They don’t think it’s going to happen in the next decade. But they’ve got Allah on their side. It’s a theocratic regime. I believe that they have a long-term strategy. The supreme leader, Khamenei, enunciated it a year or two ago, a nine-point strategy for Israel’s annihilation. Now, unlike other cases—let’s say with the Palestinian issue, where Israel has its own demands—it’s its own player, has an agenda. In the case of Iran, Israel’s agenda is very simple. Leave us alone. You’re far away. Live and prosper. What do we care? Just leave us alone. And I think that this—I mean, a spiral has happened, but this is essentially a one-sided conflict stemming from Iran. And I think it stems from the fact that Iran has a theocratic commitment to not having a non-Muslim state in the region. And Iran uses the battle against Israel as a way for building its position in the Arab world for galvanizing support. It’s also part of—it helped—it built the Shiite crescent. I think if Iran is willing to back off, then Israel will be more than happy to back off. Now, my vision, as I said before, I think the Iran nuclear deal was the best bad option that was there. It’s actually a fairly decent one, but the best of the bad. It wasn’t perfect. And we have to keep it in place. And we have to now do a few other things, which is we have to work on the missile issue, because that’s very important, and we have to work on Iran’s malign activities; first and foremost, its role in Syria. And that’s an agenda. It’s not the kind of agenda you’re talking about, but it’s an agenda. And we desperately need American leadership for this. The one area where the administration—well, I don’t know if it’s the one area—one of the few areas where the administration has at least enunciated a policy, and supposedly there’s very close coordination with Israel on that. I would imagine this is one area where it’s true. My problem is I think that there’s a lot more bluster coming out of Washington today than there is a coherent policy. Q: My name is Roland Paul. I’m a lawyer. I’ve been in the U.S. government a couple of times. Returning to the Israeli-Palestinian matter, I think—wouldn’t you agree that for the last 20 years or longer all the experts know what the deal is supposed to be, and indeed Olmert and Barak more or less offered that deal? And it could be simply stated that there isn’t going to be a deal until Hamas agrees sincerely to recognize the state of Israel. FREILICH: If it’s dependent on Hamas recognizing Israel, then that’s not going to happen in the coming decades. It could happen eventually, but I think we’re, at a bare minimum, 10-20 years from that happening, if ever. The question is whether the Palestinian Authority can make the critical decision. And I said I believe before that on at least three occasions, when they were offered a deal which was absolutely remarkable, at Camp David 2000—even better, the Clinton parameters in 2000 and the Olmert proposal in 2008—where, in effect, they were offered, on a territorial level, just about 100 percent—a division of Jerusalem, including the holy places, and some symbolic return of the refugees. Now, anyone who thinks that Israel is going to agree to a major return of refugees is—I don’t know what they’re smoking. So that I think that this really was pretty much everything Israel could offer. You can always play on the margins. And the question is whether there’s a Palestinian leadership that can step up to the plate and say yes. There seems to be a very strong no in Palestinian Arabic; I haven’t heard the yes yet. Now the government in Israel today is—also is a right-wing government—not going to make the—but there were, as I said before, a few Israeli governments that were willing to. I hope that there will be again, and I hope that at that point—I don’t know when it—it could be a year from now, in the next elections, or it could be 10 years from now—I hope there will be a Palestinian partner. I don’t think it’s there at the moment, and if it’s dependent on Hamas, then we’re not in good shape. Q: Thank you. I’m Jacob Frankel (sp), and I have one comment and one question. First of all, it’s amazing that there is so much agreement that Israel has never been stronger, that—it’s a beautiful scenery. And I just came last night from Davos, and I can tell you that after five days there, the word Palestinians was not mentioned—literally was not mentioned. It’s not on their agenda. And those who were sitting in the first half of your discussion would have gotten the impression that if we only solved the Palestinian issue, everything would be in place. The subsequent discussion here revealed that the Palestinian issue itself is ill-defined because who is agreeing with whom, and that the real issues are still with Iran, and if they would agree that this is the biggest flaw, the sunset, and then your previous answer said there is no mechanism to bring Iran to do something voluntary, then what is the mechanism that will address that sunset? Let me say one last remark. In the corridors in Davos the name of the game was, quote, “a new regional configuration”—that suddenly Israel, Saudis, Egyptians, Qatari—not Qatari—Emirates, Jordan, are the closest cooperators. And again—I want to repeat again, with all sadness, because I spent a lot of time when I was involved on the Palestinian issue, I don’t see any light in the end of the tunnel if the tunnel is defined within the next few years. BERGMAN: Let me maybe refer to one of the things that Professor Franken just mentioned, and this is the idea to have some sort of a regional agreement. 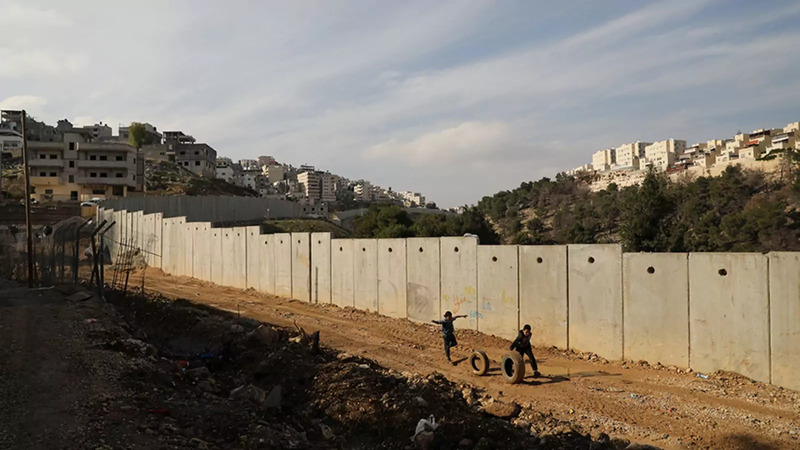 Now this is something I think that—again that Benjamin Netanyahu would like to invest in and to achieve because it does not force him, allegedly, to deal with any kind of geographical, territorial compromise with the Palestinians. But to boast, (with a ?) good reason, with the secret relations that Israel has with the secret services of Sunni moderate countries in the region is one thing, but to sign a peace agreement with them, to have an overt relation, to start the—to start fulfilling the huge business potential there is there is a different thing, and I don’t think that the—that the—these countries—the Emirates or Saudi Arabia or Jordan—will go to a full-extent peace agreement with Israel and business relation unless the Palestinian problem is solved. FREILICH: Can I add a word to that? FREILICH: There used to be a mantra which was repeated in Washington for 45 years that if we could just solve the Israeli-Palestinian issue, everything in the region would fall into place. Now I always thought that that was a 90 percent fallacious argument, with a little bit of substance to it, and I think recent years have proven it, and we even see the Sunni states improving relations with Israel even without any progress on the Palestinian issue because we have shared interests. But I think the fact that, in some ways, the peace process is off the table is a tragedy because it is the most important issue we face. Somehow we’ll deal with the—with the Iranians, with Hezbollah. The question is what kind of a state we’re going to be down the line, and here the Palestinian issue is absolutely critical. Do we remain a vibrant, predominantly Jewish democracy? Do we compromise on that? I don’t—you know, the people say, well, the alternative is also some horrible things. No. It’s not apartheid. The alternative is a compromise on democracy, and I don’t want to compromise. And what is true—the Israeli-Palestinian issue isn’t the key to resolving all the Middle East problems, but it is the key to Israel’s relations with Europe. It’s a key to cementing the long-term relationship with the United States, putting an end to the loss that we see of support on the American left—the liberals, the Democratic side of the map. If there is even just major progress, let alone a final agreement, we will see—you know better—you know this better than I do, Jacob—and after Oslo, every multinational corporation in the world started pouring into Israel. As it is, we’re doing extremely well economically. If there’s progress towards peace, let alone peace, it’s going to have a dramatic effect on Israel. So I think the peace issue is important in its own right, and it doesn’t matter what happens in the other area. ROBBINS: Please take the microphone. Please take the microphone. Q: (Off mic)—the American University in Cairo. I’d like to go back to Professor Cohen’s question about demography which didn’t really get answered. He was wondering, I think, how the fact that the Palestinians have a much higher birth rate than the Jews—how that would affect a future one-state solution. Is that something that gets discussed very much, or is it just something pushed off to the future? FREILICH: I actually just did a study of that, so I pretty much know the numbers. Actually, Palestinian birth rates are plummeting. Among Israeli Arabs who are Palestinians, also—their birth rate is the same as Israeli Jewish women—remarkable—secular Israeli women. And in the West Bank, it’s plummeting as well. And the result is that—OK, there—of course, there are different projections, but if you project out to 2050, 2060, which is as far as the current ones go, then the balance—the Jewish-Arab balance—West Bank and Israel—remains about the same: about 60 percent Jewish, 40 percent Moslem. If you bring Gaza into the picture there is already a—or in 2020 there will be a small Arab majority. So, I mean, the good news is that over the next few decades there isn’t a significant change. The bad news is if you had a dream of a predominantly Jewish state—no one ever thought that it was going to be a hundred percent—but predominantly, well, just Israel itself today is already at 80-20 (percent), which you can say is problematic. Certainly, if you bring the West Bank into it—and that’s about 40 percent Arab—is that the Jewish state that Israel wanted? I mean, to my mind the answer is no, and that’s why I believe that a two-state solution was, and remains, and will be the only possible solution. There’s another demographic problem that I am deeply concerned about, and that is the rise of—well, Ronen was talking about the breakdown of the walls—with the ultra-orthodox, the Haredi population. I hope he is right, but the current projections show that by 2050, if Israel doesn’t do something really quickly with transfer payments and other things, a third of the population is going to be Haredi, and I don’t think that—well, that isn’t economically viable, and I don’t it’s very good for Israeli democracy. So, we are—have come to the end, but I wanted to give our fabulous speakers a chance to have one final point they might want to share—something that you didn’t have a chance to get out there. FREILICH: OK, I—Israel has got a whole bunch of challenges, a lot of tsuris for those who speak Yiddish. That’s always been the case, and it’s going to be the case. We live in a difficult part of the world. We do. I am very optimistic. In other words, I can talk now for hours about all the problems that Israel faces, external and domestic. The answer has always been yihye tov, it will be good. And I think the answer is that’s—somehow it’s going to work out that way. Look, at 70, Israel is a remarkable success. You can criticize the West Bank policy. I do. You can criticize other things. The fact is Israel is fundamentally a stable, prosperous, vibrant democracy which has to—one huge issue to deal with and a bunch of others that somehow will work their way out. ROBBINS: —which is your book holds up a rather hard mirror to Israel about what’s been going on internally, the sacrifices that have to be made for the sake of security, but also some what are pretty scary decisions that have been made as well. What’s been the reaction inside of Israel to this, and are people—are they, well, gee, it’s tough, but we’ve got to make these tough decisions, or has it opened a debate internally—a political debate? ROBBINS: The book was—has not been yet in Hebrew, but echoes of things that—excerpts that were published here are already published in Israel. It created a debate, but at the end of the day, I think that security, and state security, national security, defending citizens is considered to be the sacred cow that was never, of course, slaughtered, and it’s above everything. I tell my American colleagues, my German colleagues, where the book was already published, why did I name the book Rise and Kill First? Because this is part of the Babylon Talmud phrase which says if someone comes to kill you, rise up and kill him first. This phrase was used by many of the—I did one thousand interviews for the book, and many of the interviewees were—actually participated in targeted—used that phrase, and it was not used as an alibi, not as a justification. It’s a mindset that when a country, and a people, nation suffered by—suffered past traumas—mainly the Holocaust—and facing daily threats, they will save no mean—no means to defend the country. And therefore, I think it will take us time and peace with Palestinians—on that sense I am optimistic. It will come because there is no other way, I think, to rethink our position on these aggressive means that the country has been using to defend itself.